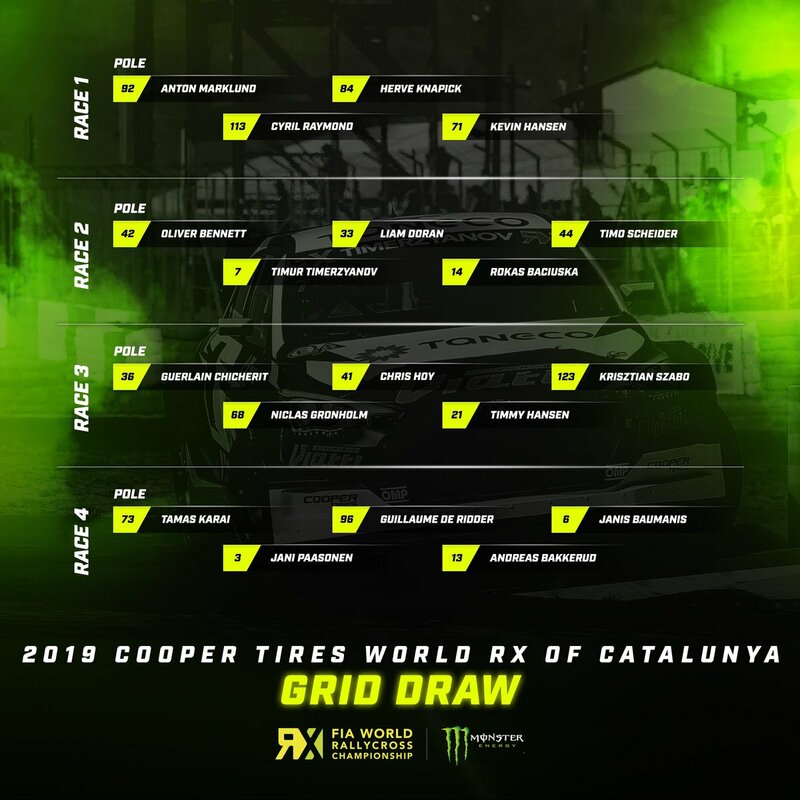 Norway’s Andreas Bakkerud became the sixth different winner in the 2015 FIA World Rallycross Championship presented by Monster Energy after triumphing at this weekend’s World RX of Italy. Volkswagen Team Sweden’s Johan Kristoffersson finished as runner-up, with points-leader Petter Solberg third. Meanwhile, Team Peugeot-Hansen was crowned the 2015 Teams’ Champion with one round remaining – the Swedish squad has amassed a 63-point lead over Ford Olsbergs MSE. Frenchman JB Dubourg finished second out of the European Supercars competing in Italy, with Ole Christian Veiby third. In the overall Euro RX standings it was Albatec Racing’s Jerome Grosset-Janin who finished runner-up. Third was Veiby – the Norwegian tied on points Joni-Pekka Rajala but was awarded third place on count-back. The 2015 Super1600 Championship was won by Janis Baumanis, the Latvian finished 24 points clear of Denmark’s Ulrik Linnemann. Linnemann won today’s S1600 round in Italy – his third victory of the season after France and Germany. Dmitrii Bragin impressed on his rallycross debut, the Russian putting in a strong performance to finish Italy RX in third place. Third in the 2015 Super1600 standings was awarded to Krisztian Szabo, the Hungarian finishing six points behind Linnemann. In the supporting RX Lites Cup, where Italy was also the final round, Kevin Hansen finished second, accruing enough points to be crowned the 2015 Champion. The 17-year-old Swede is awarded a Supercar drive at the final round in Argentina as his prize. It was Kevin Eriksson, however, who took the win in Italy. Eriksson ends the year second in the Lites standings – 17 points behind Hansen. Joachim Hvaal finished third today and ends the season fourth overall. Meanwhile, Thomas Bryntesson is third in the overall Lites standings – the Norwegian having amassed a staggering four event wins throughout 2015 in the highly-competitive one-make series. Round one winner Kristoffersson spoke of his desire to take a win at the final round in Argentina next month. “I’m really pleased with second, but for sure, I would have liked to have won today. I’ve been on the podium for the last three events – the car has been working fantastic so hopefully we can continue our recent run of form for the final round next month,” explained the Swede. Meanwhile, Solberg is one step closer to securing his second World RX Championship title following his performance in Italy. The Norwegian was able to capitalise on Timmy Hansen’s retirement in the semi-finals to secure crucial championship points. He now leads Hansen by 26 points going into the final round [a total of 30 driver points are available in Argentina]. EKS driver Anton Marklund finished fourth in Italy, the Swede securing his best result of 2015 in his Audi S1 EKS RX quattro. Rounding out the top five was an impressive drive from Manfred Stohl who made an extraordinary comeback following a roll on the first day. It also marked the first time both Stohl and World RX Team Austria have been in an RX final. Russia’s Timur Timerzyanov was sixth overall, the Ford Olsbergs MSE driver knocked out of podium contention after he lost time from a rear-left puncture. One of the most enthusiastic spectators at Franciacorta today was FIA President Jean Todt, who arrived to see the conclusion of the penultimate round of the World Championship. Jean Todt took the opportunity to meet with a number of teams and drivers, FIA staff and representatives from IMG in order to discuss the growth of the Championship, and what is in store for the future. He also presented Italy RX winner Bakkerud with his trophy on the podium. The final round of the 2015 FIA World Rallycross Championship will take place in the all-new location of Rosario in Argentina next month [27-29 November].